Casino Fantasia is no longer available . Click here for alternative casinos . A glossy, user friendly online casino with Bingo too, Casino Fantasia has the best of both worlds and is so simple to play on, you’re bound not to even need to speak to the 24/7 Live Caht on hand to help you. You are in total control of your depositing and can set limits for yourself too. The games available are top notch as well. Here is an online casino that is catered to the Latin American market and is available in Mexican, Peruvian, Ecuadorian and Brazilian. Casino Fantasia, operated by OceanLink N.V is also available to us in English, and is based in Curacao. The website theme is black and red, with the writing really standing out in white on the black background. The pictures are glossy and attractive. The whole set up is very user-friendly indeed and its simple to find whichever classic slot or video slot Casino Fantasia has to play. Greentube software is used by Casino Fantasia, and you will find Roulette, Blackjack and Bingo amongst the Greentube slot machines. The self-purported best Casino of Latin America also has Casino Live, so you can enjoy face to face play, to make you feel welcome and as if you were in a real brick and mortar casino. Whilst Casino Fantasia is admittedly aimed at the Latin American market, there will be plenty there to entertain those English speakers amongst us. Novomatic slot machines are striking, with 3D slots and glossy, brightly coloured graphics to entertain us as they spin their way into our hearts. There are many skill based bonus features added into these innovative Casino Fantasia slot games. The Bingo on offer will delight those who are just entering the online casino world and want to play the game they know they love and have an easy way to give a slot machine or two a go without having to sign up or register and deposit to something that they aren't sure they'll like. The Bingo games at Casino Fantasia are powered by Microgaming. Before they'd even launched, this site was already rewarding us with a pre-launch Casino Fantasia bonus. 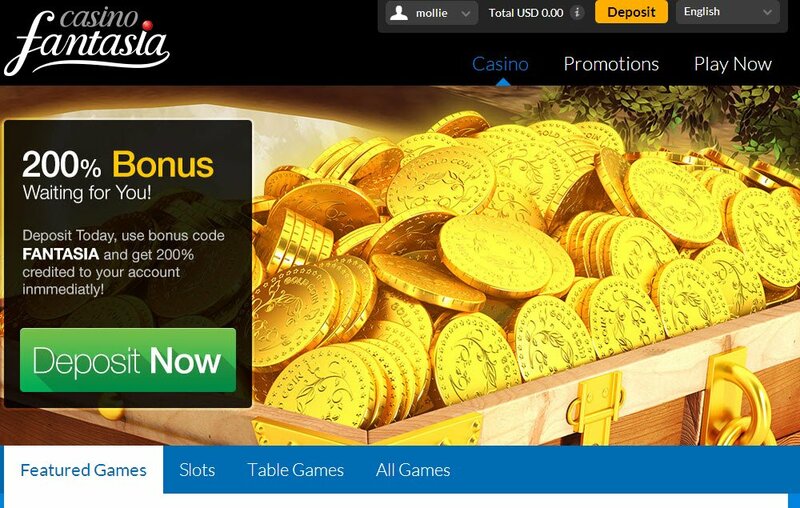 Everyone who signed up pre-launch was notified by email on the day of the launch and, as soon as they had deposited, were rewarded with this first deposit tripled by Casino Fantasia. The general offer is a 200% Casino Fantasia welcome bonus of up to $100. This may not be as much as other online casinos, but it is certainly enough to give you a good start. 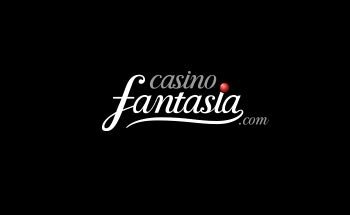 There aren't so many other casino promotions or offers available or shown in the lobby, but the trick is to keep an eye on emails from Casino Fantasia as they will keep you up to date with what's new and what benefits are available for you to take advantage of. Casino Fantasia places their customers as their top priority and there is a green Live Chat box at the bottom right hand corner of your screen that will automatically have a representative there with support and answers 24/7. Depositing is simple and all the major payment methods are accepted, as one would expect from any decent online casino. A neat feature is the simplicity with which you can set yourself deposit limits with no hassle or even having to speak to one. Simply go into your account details once you're logged in and you can set daily, weekly or monthly deposit limits. You can set time limits on the deposits you make to Casino Fantasia too.